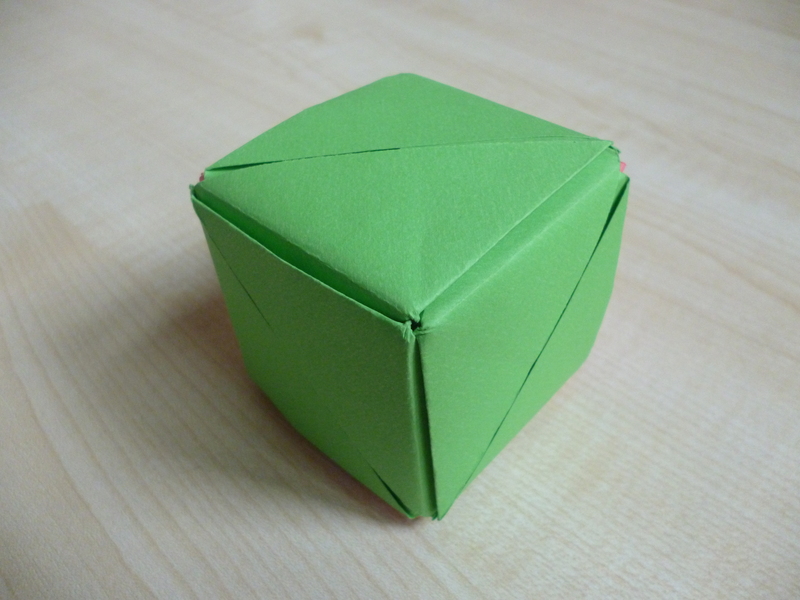 I made this red and green cube out of six interlocking units. 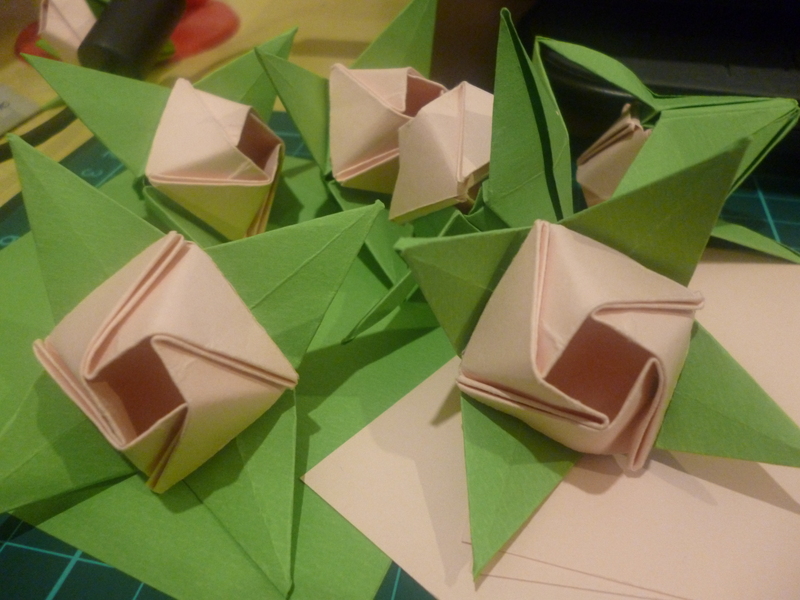 It’s really easy to make, especially if you’ve done modular origami before. 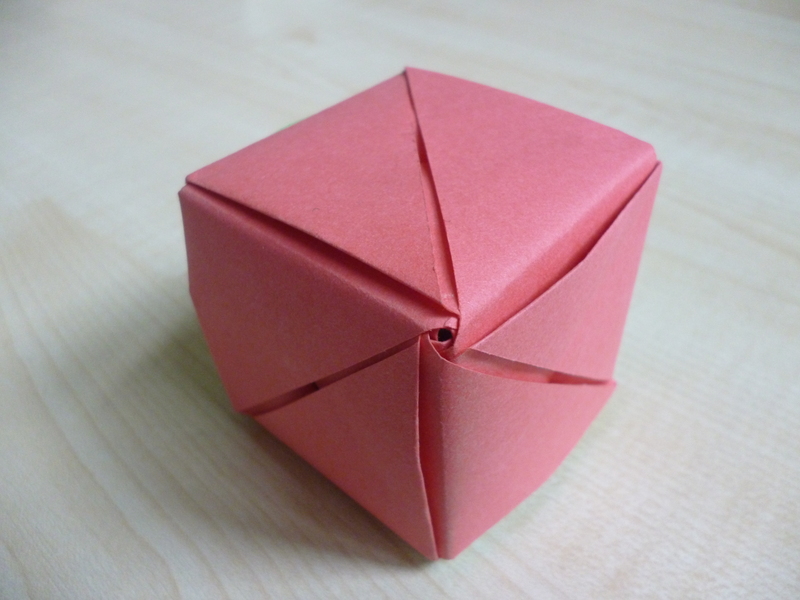 It looks like any ordinary cube, right? Well, something interesting happens when you pull out the triangular-shaped parts of the three red faces! I’ve made my fair share of roses before. 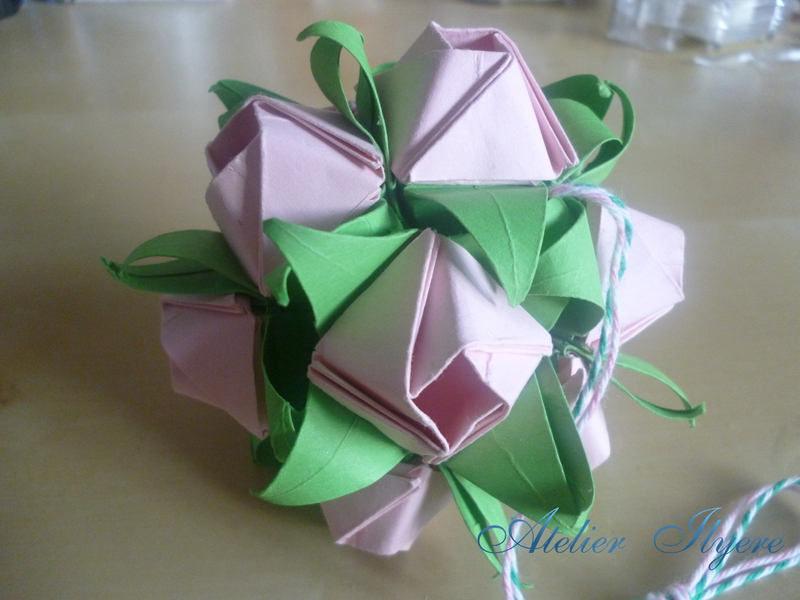 I would make various flowers, then tape then to wire stems and wrap with green tape. 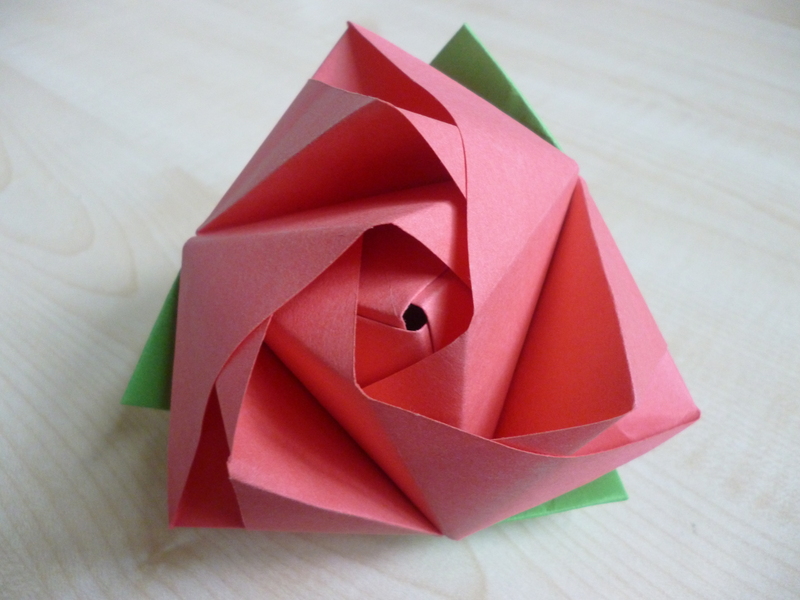 But have you ever thought you could make a rose more that just a pretty decoration? In this version, I took a pen and wrapped it with green paper. 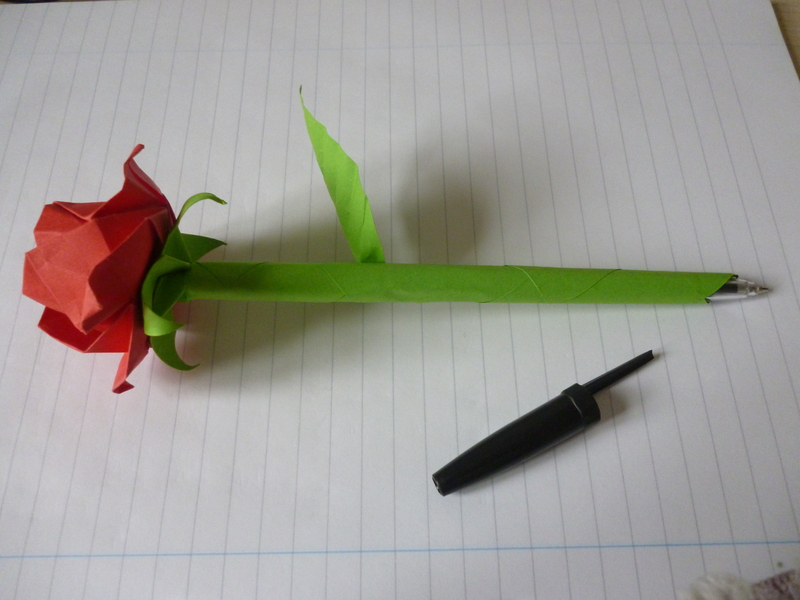 I then attached a Kawasaki rose to a calyx and glued it to the top of the stem. I also added a simple leaf. And thus you have a pretty rose pen! If you wanted to, you could make a stem by using the ink container inside the pen instead. The stem would look more natural as it is quite thin, but it becomes sort of hard to write with.